Turner Hall River Rats for the Arts - BIG FISH, BIG TALES, and the BIG MUDDY, A community Art Project for Boonville, MO. Summer Review and Whats NEXT??? 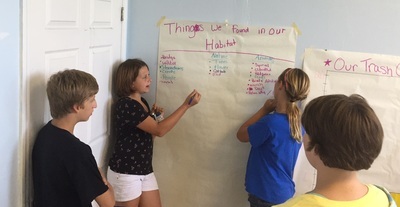 As the YMCA summer camp ends and school begins, it is time to review what we have accomplished this summer and what happens next. 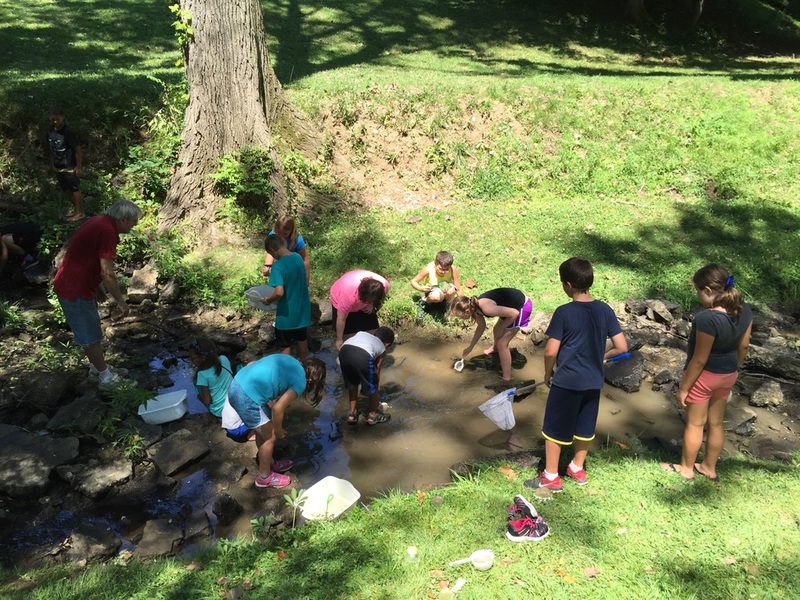 The YMCA program started with an evaluation of what kids knew about the river. Most agreed it was dirty, had fish including sharks and boating was fun. We started learning about the river by following the stream behind the Y looking for storm drains as we walked to the Katy bridge to see the great Missouri River. 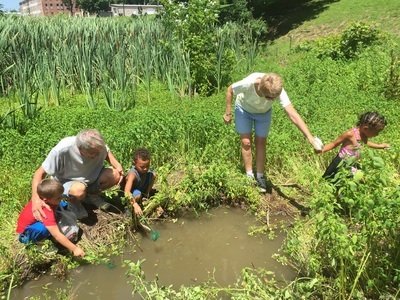 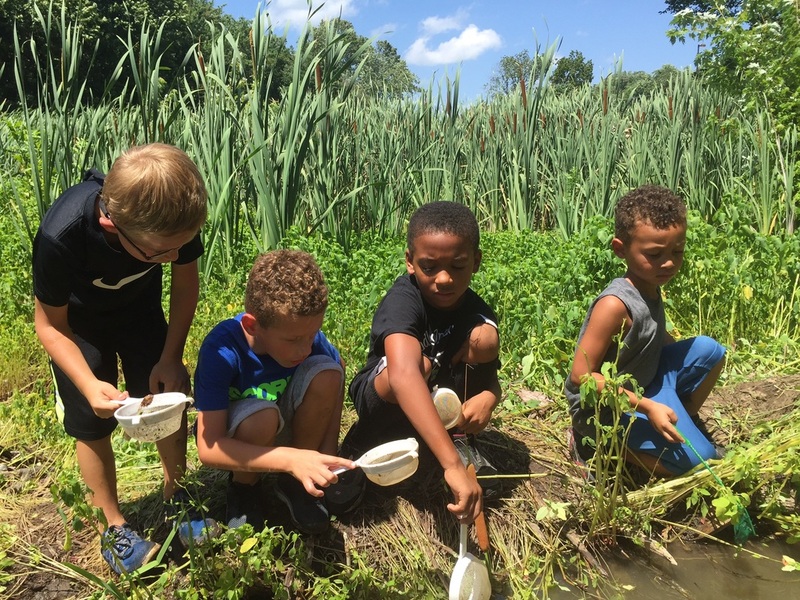 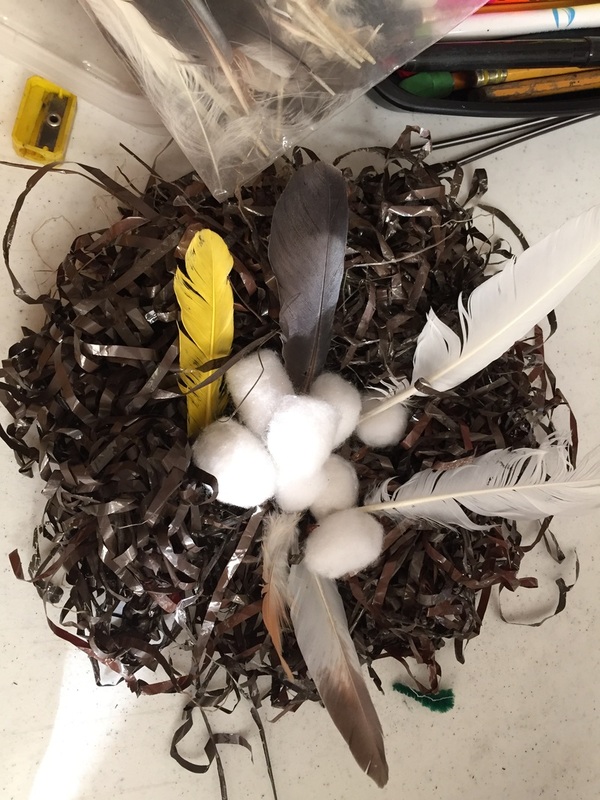 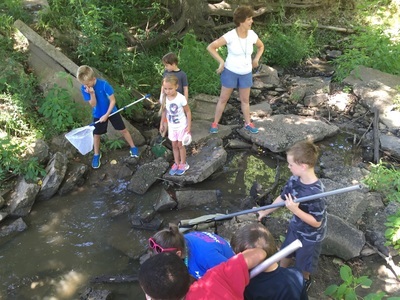 For the next few weeks we explored the creek and the cattail wetlands behind the Y using nets and plastic magnifying tools provided by the Missouri Department of Conservations Wetland trunk. 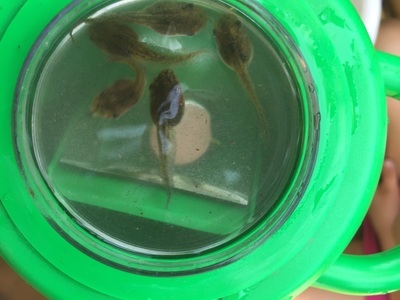 Kids discovered all sorts of life in and around the water. 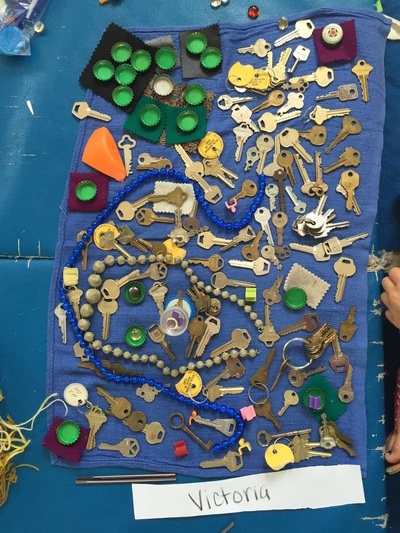 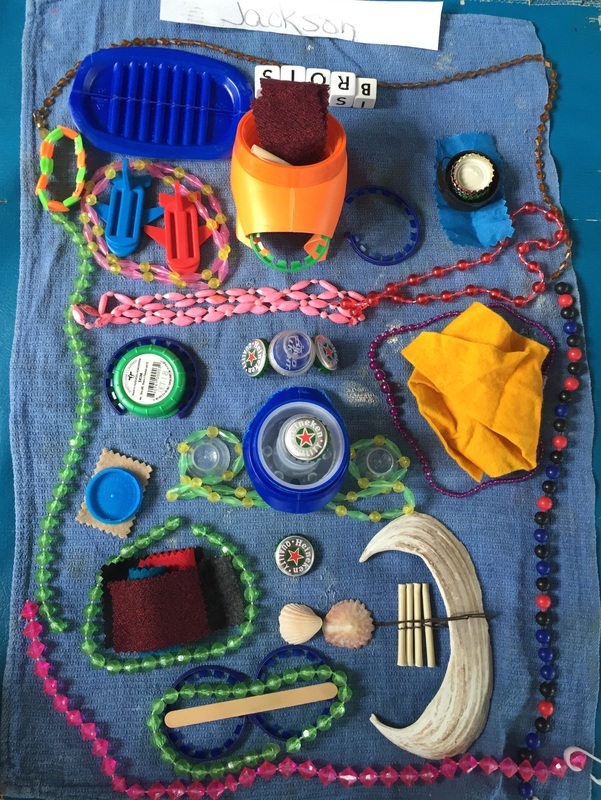 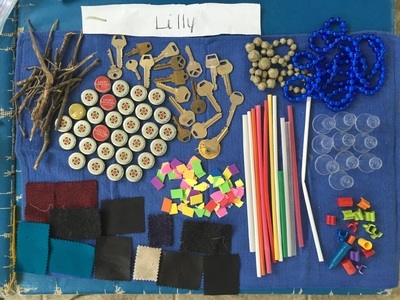 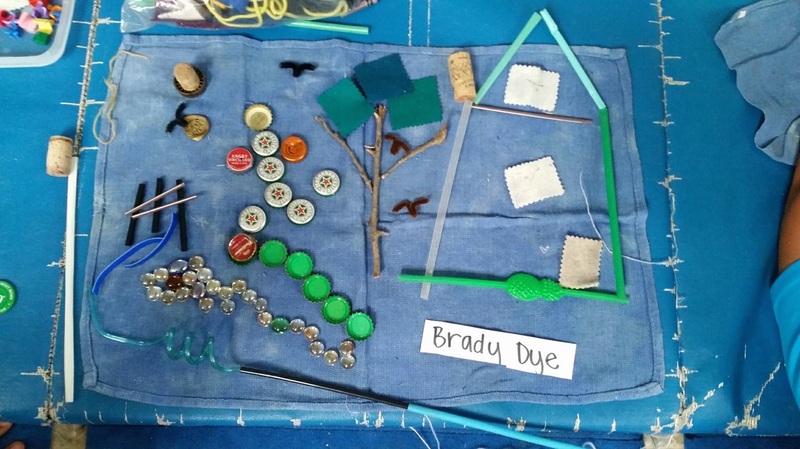 On the fourth week we played with recycled and found objects as fun art materials. 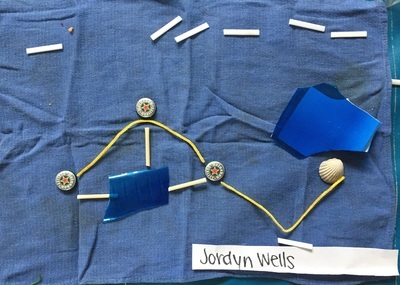 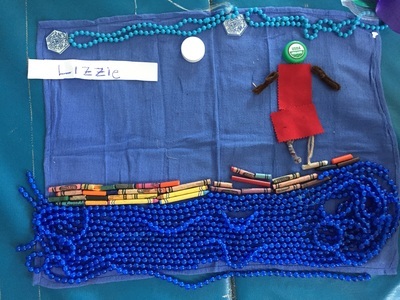 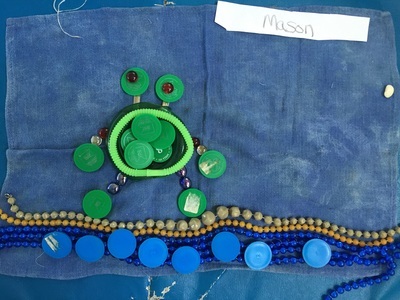 Many kids chose to illustrate water themes ranging from storm drains made with colorful straws to a variety of wildlife. 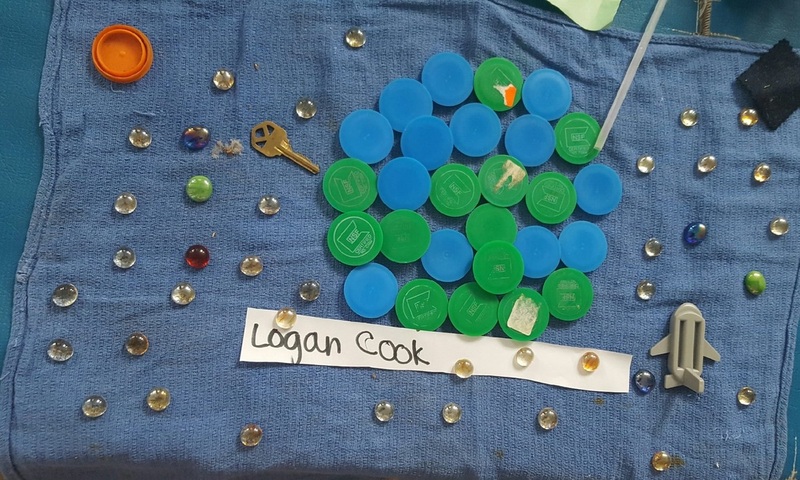 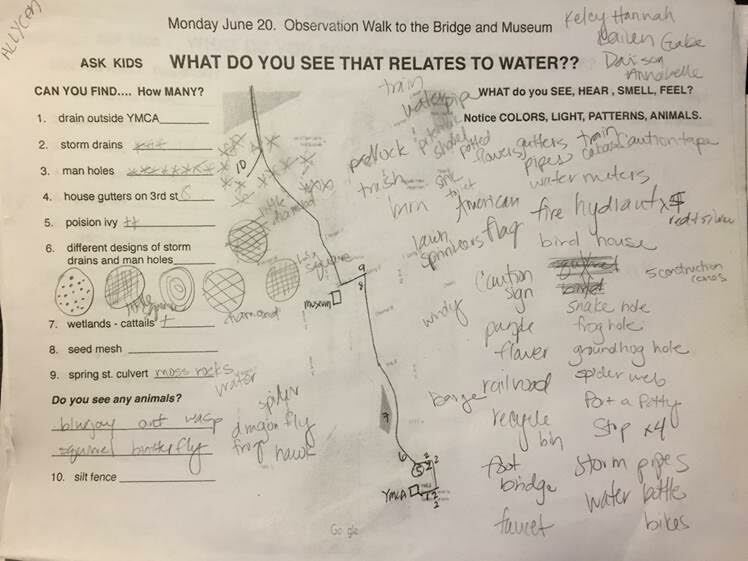 When learning about the wetlands, students were shown an educational piece that illustrated heavy metal pollution from cities with little red dots and explained how cattails filter the water by soaking up these little red dots. 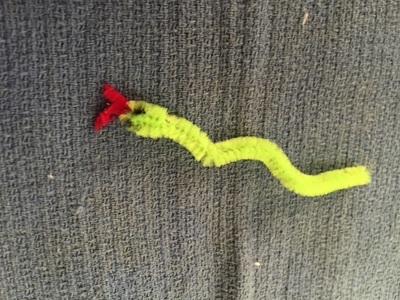 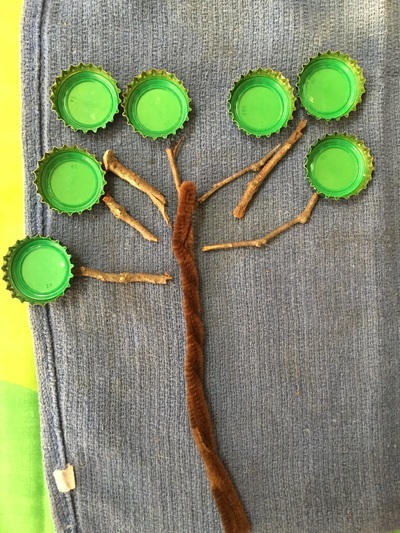 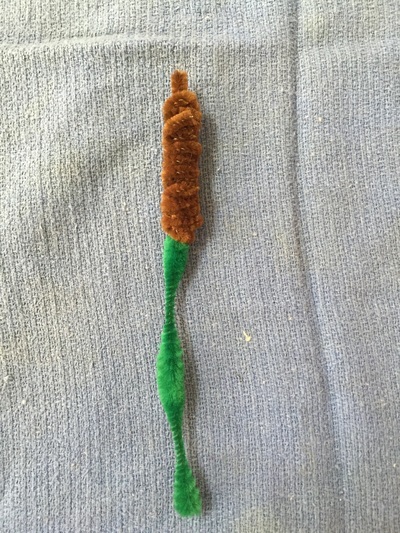 One person made a cattail out of bottle caps and and as he put little red beads in the bottle caps he proudly explained that the red beads were the pollution the cattail was soaking up. Our last project was working with the mud that makes wetlands possible, clay. 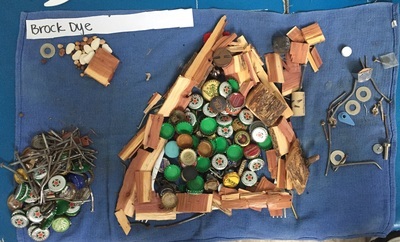 Some kids actually made buildings that will be used in our final sculpture. 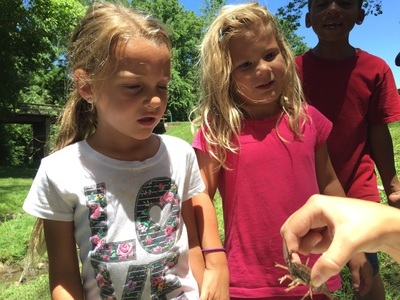 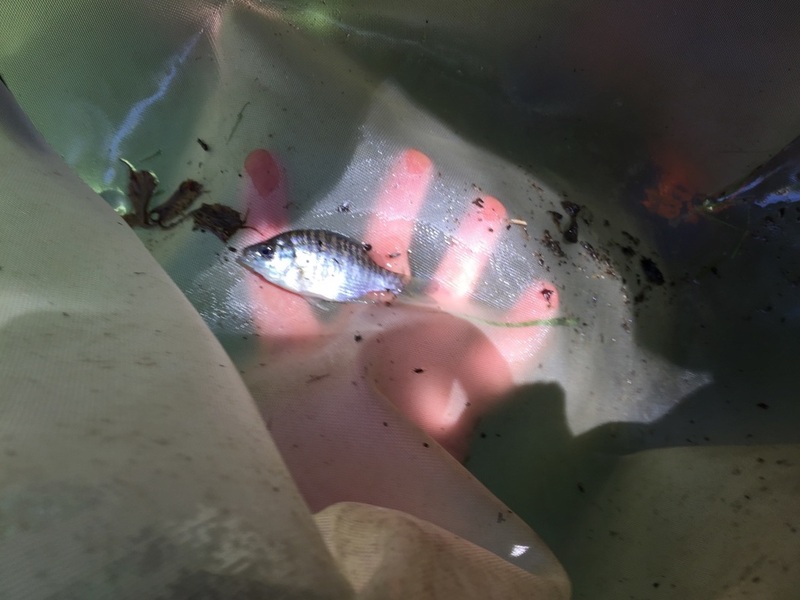 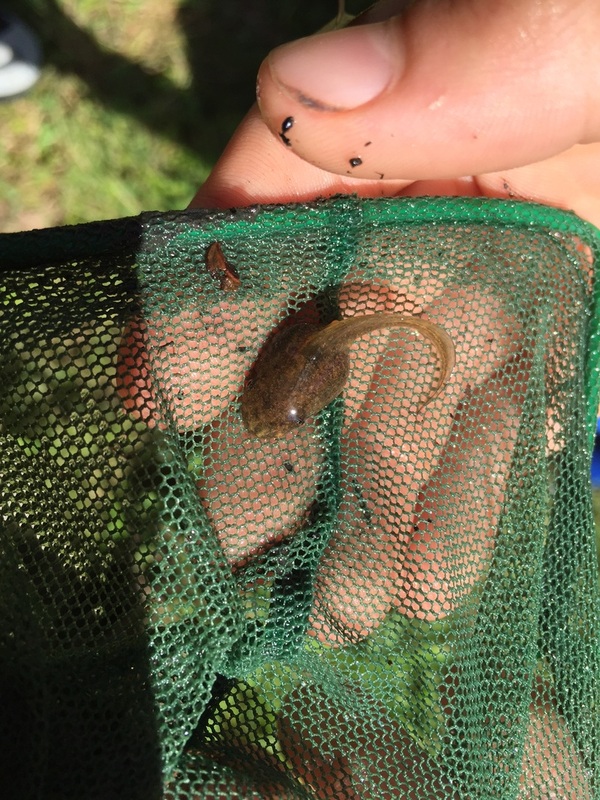 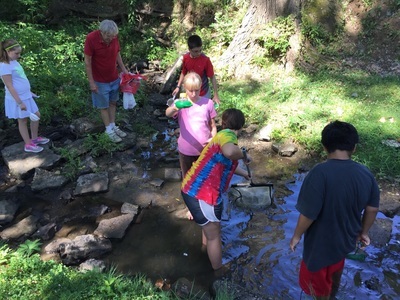 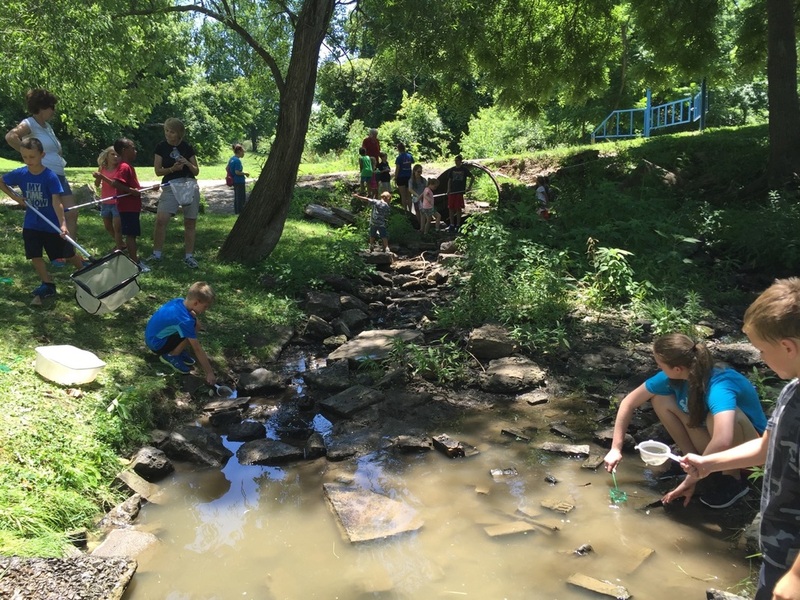 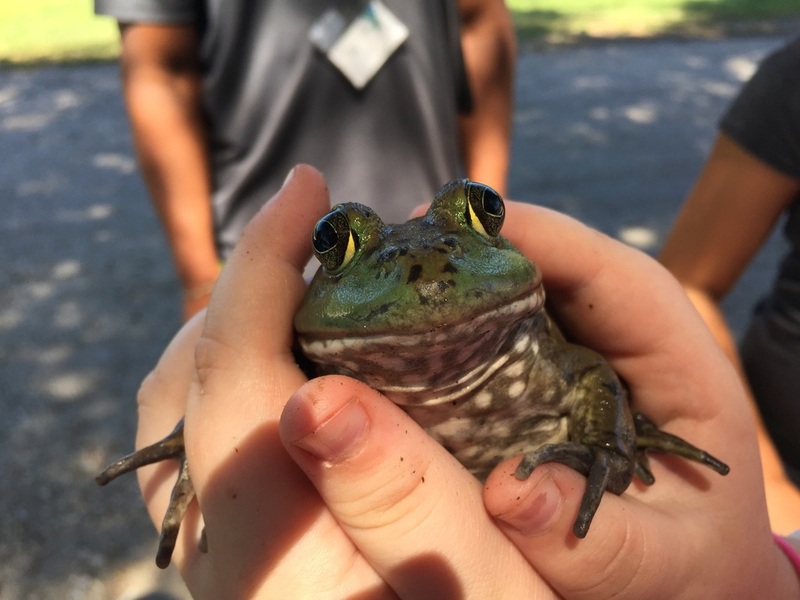 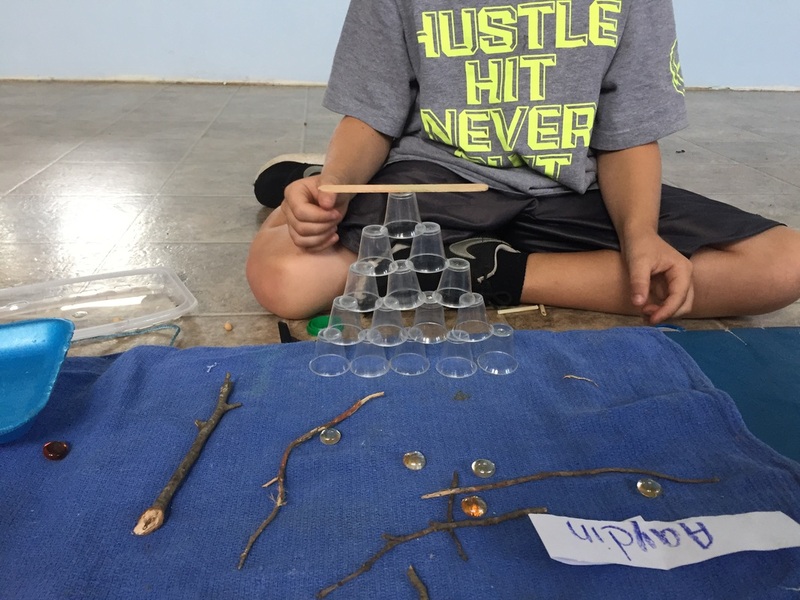 At the end of the summer, using the same evaluation as the first day, when asked what the kids knew about the Missouri River, results included storm drains, keeping trash out of the river and lots of wildlife besides fish including tadpoles, crawdads, and water spiders. 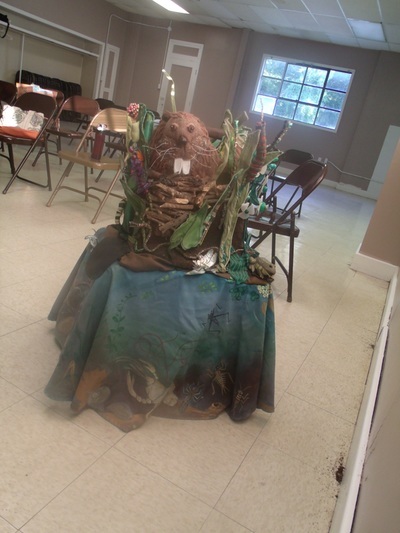 Friday open studios at the CCBC were fun, but not very well attended. Consensus is that Fridays evenings just have too many other things happening. 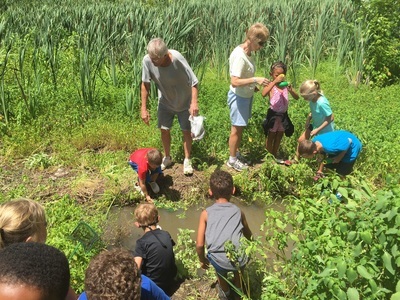 In conclusion, I feel the summer YMCA Summer Camp Program was successful in connecting the youth to the river in a fun way. 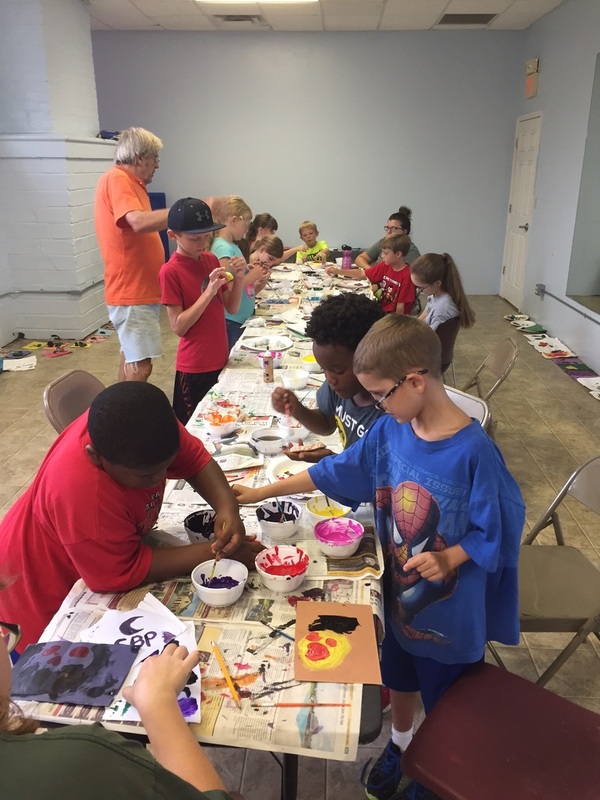 Over the summer eight community volunteers helped on the YMCA Mondays including 1 eighth grader and 3 high school students who came every week. The attempts at collaboration within the community thru the CCBC open Fridays was not as successful. A new approach will be to invite specific groups of people or organizations to participate in workshops at Holly's studio with dates and times to be arranged in accordance with the participants. 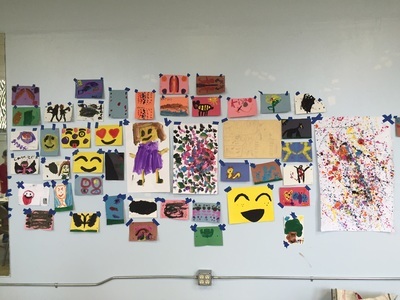 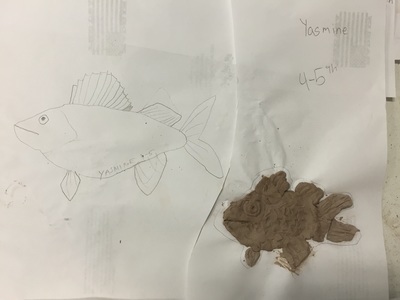 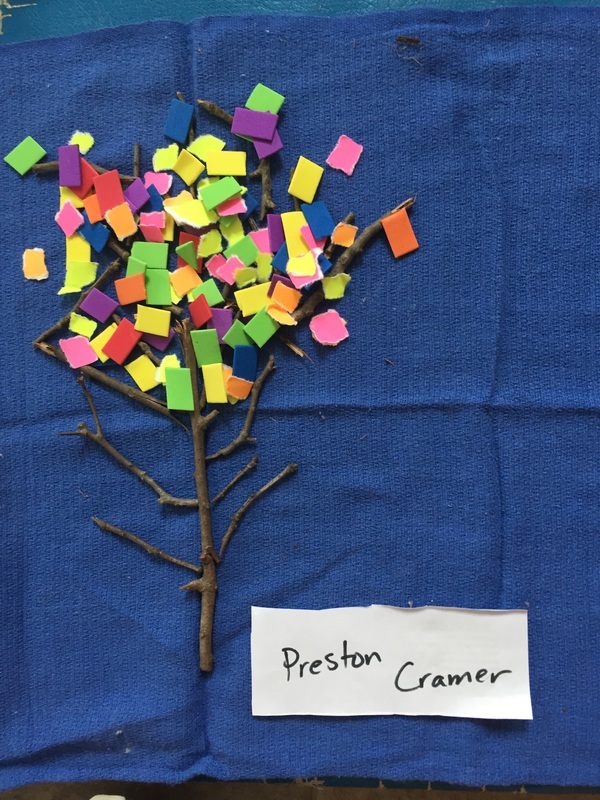 Through the YMCA program, CCBC Fridays and word of mouth several very artistic youth have been identified who will also be invited to continue working on the art project. 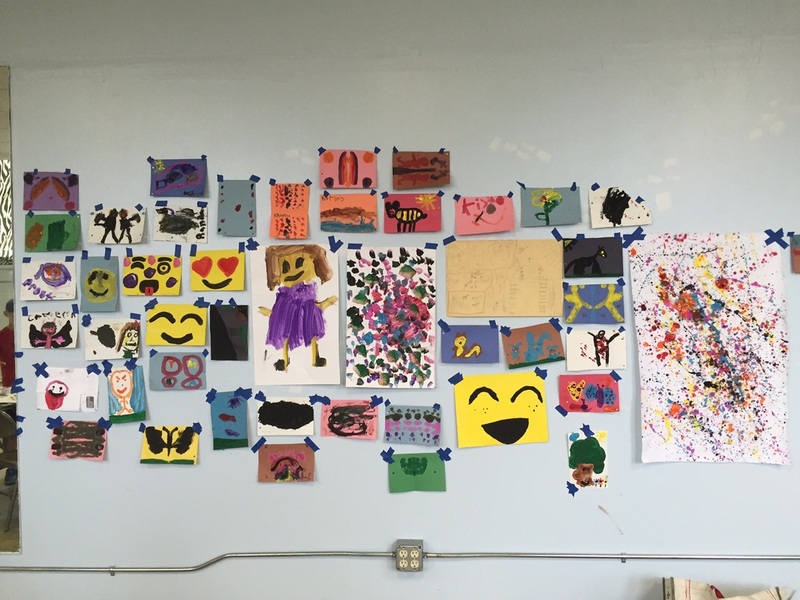 Now I am excited to have a wall in my studio dedicated to this project and and looking forward to have some time with the artistic muses... keep you posted. 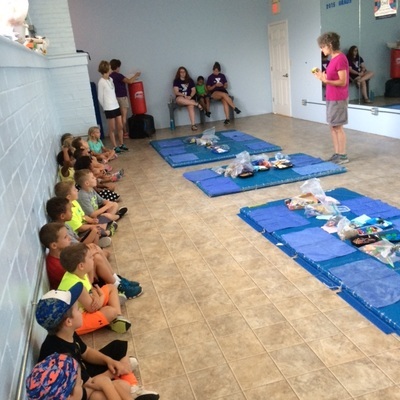 "Today was my last day at the YMCA Summer Camp. 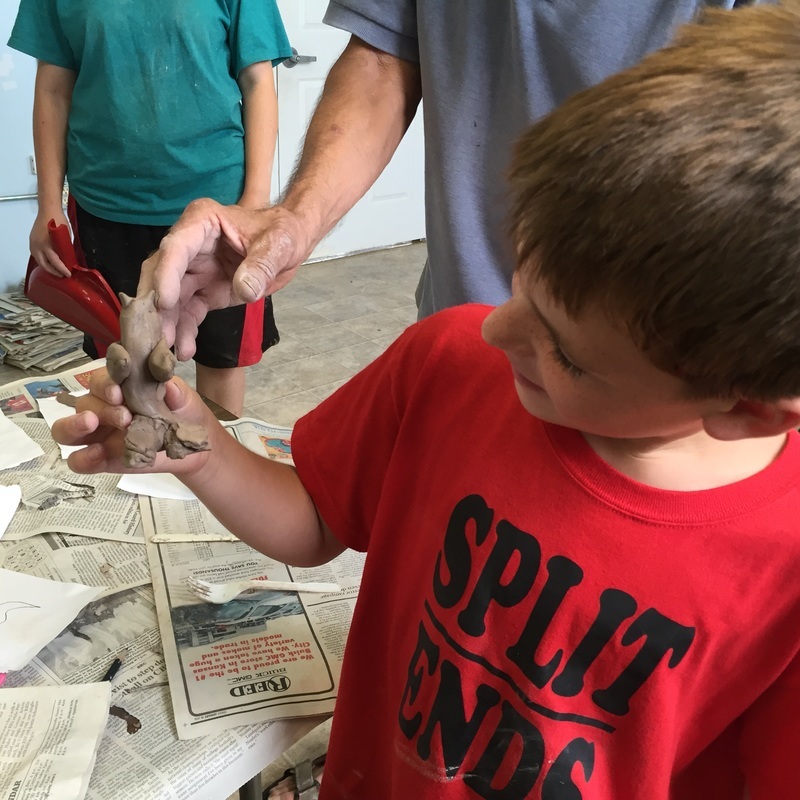 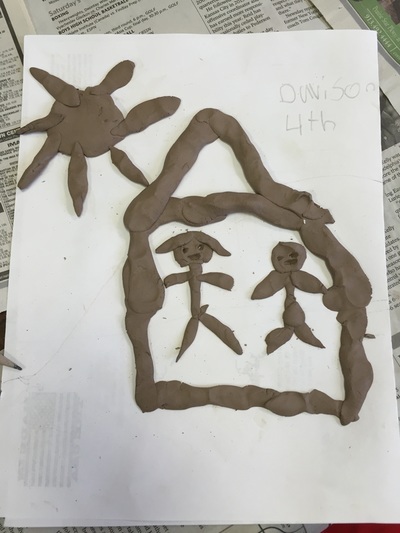 A SPECIAL THANK YOU TO Jen O'Keefe at the CLAY CO in Boonville for firing all the kids clay pieces, and Abby Pannell for writing this summary of the last day. "On Auguest 8th the YMCA kids painted their clay pieces. 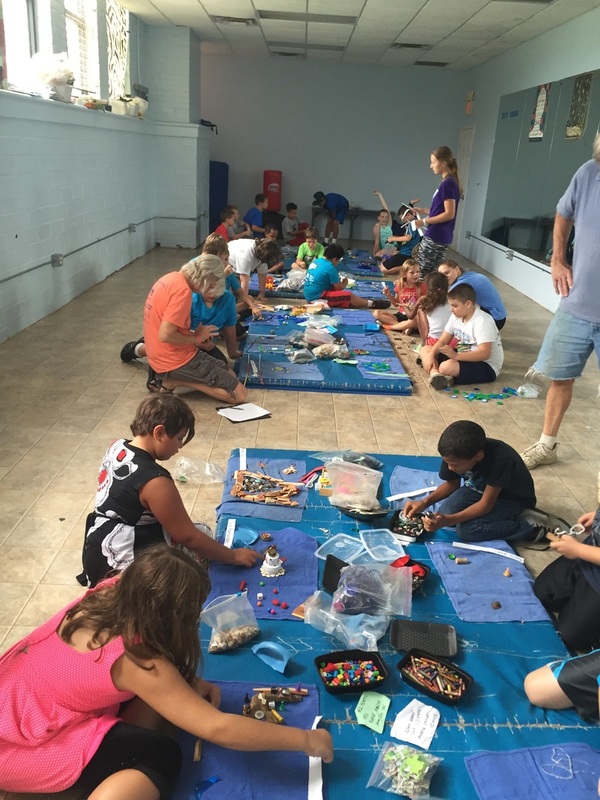 Some kids did not make clay pieces so they painted rocks and all sorts of happy paintings. 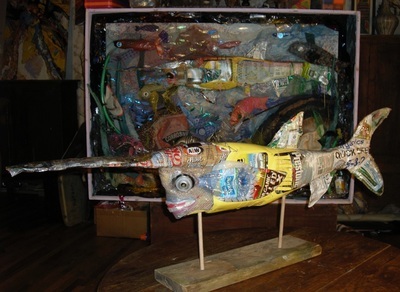 The kids got to take their projects home, a few donated their building sculptures to the project. 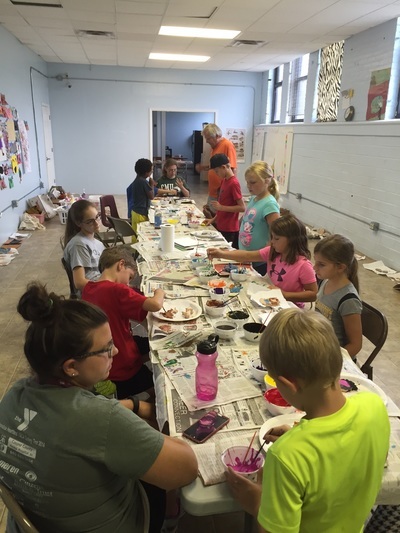 The YMCA kids, the volunteers and Holly had a great time this summer at the YMCA." 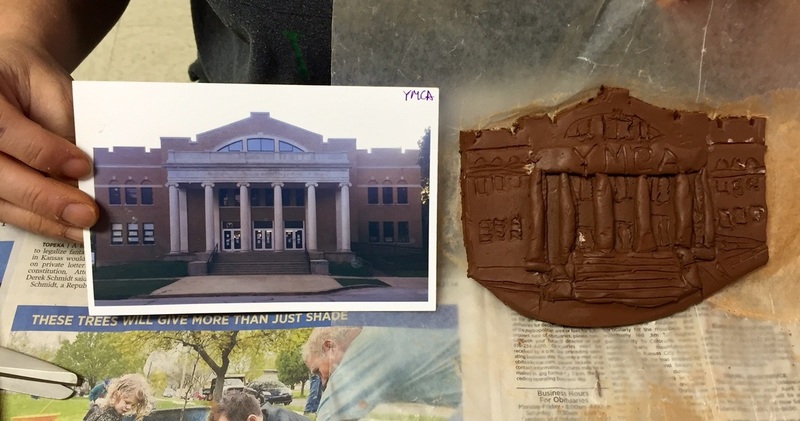 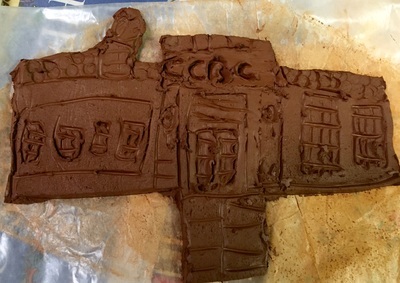 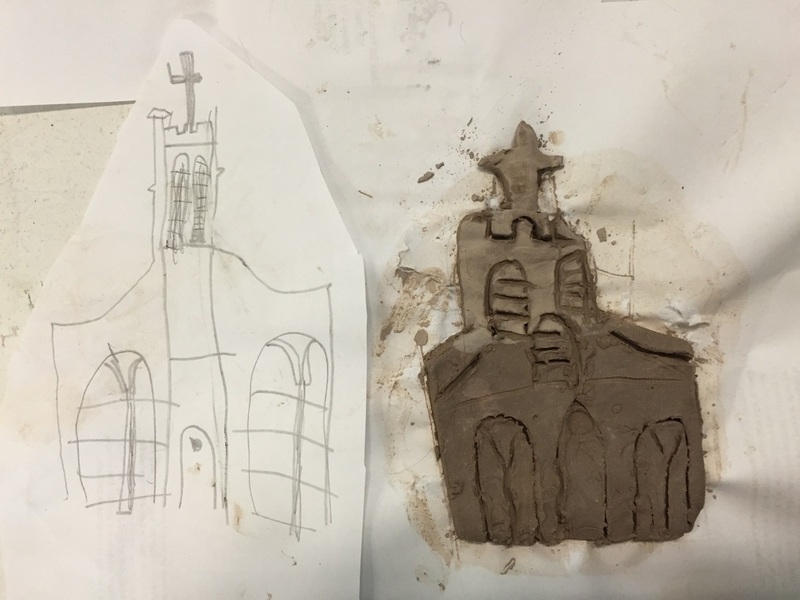 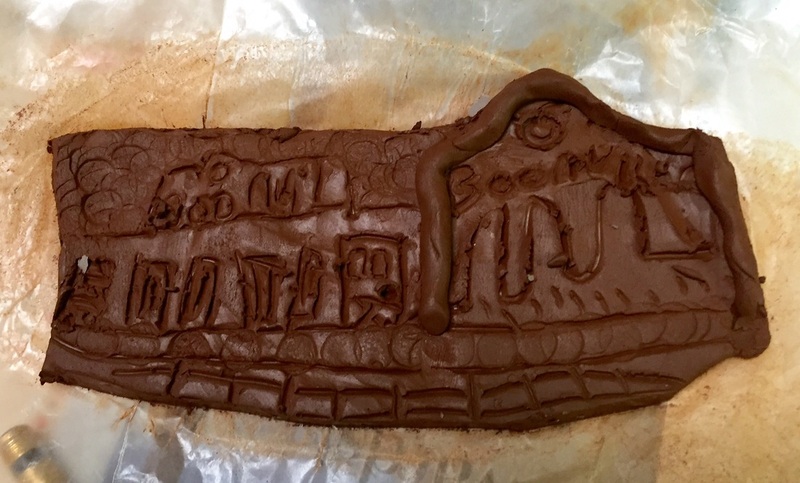 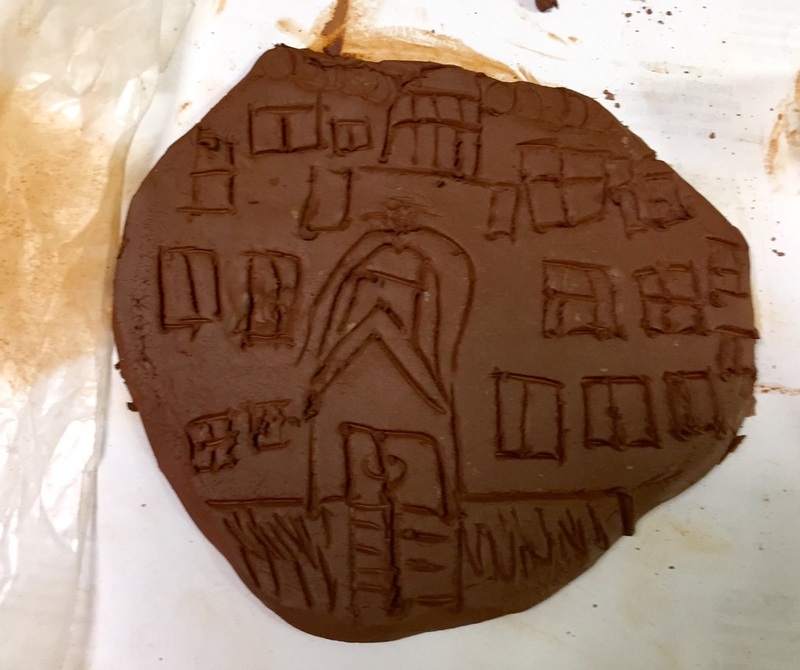 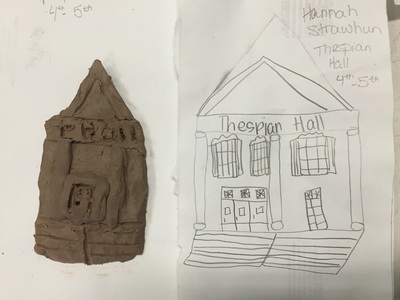 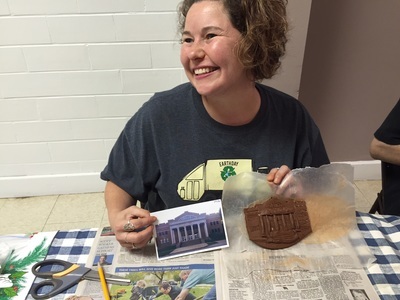 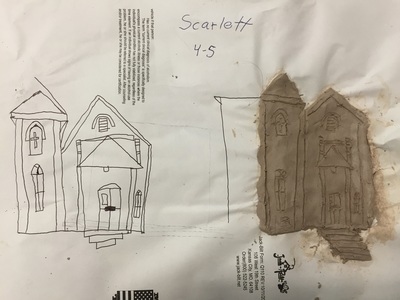 Friday at the CCBC we continued making clay focusing on buildings representing the walking tour. 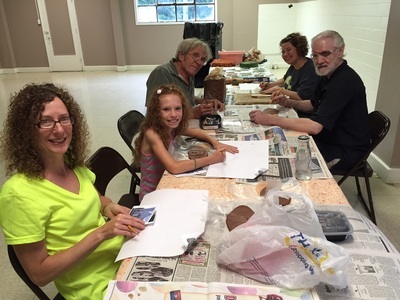 It was a small group but we all had fun.Julie Herpin made the YMCA, Hayley Friesen made the CCBC, the new River, Rails and Trails Museum, and the Court House; her mom Amy maid the Old Jail. 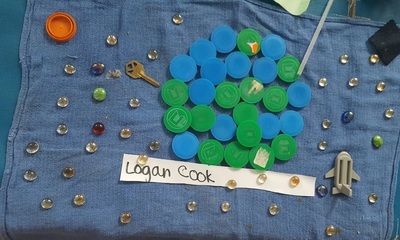 Here are some of the best pics. Day Summary by Abby Pannell.THANK YOU ABBY!! 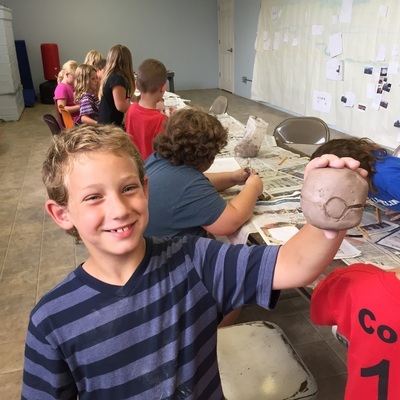 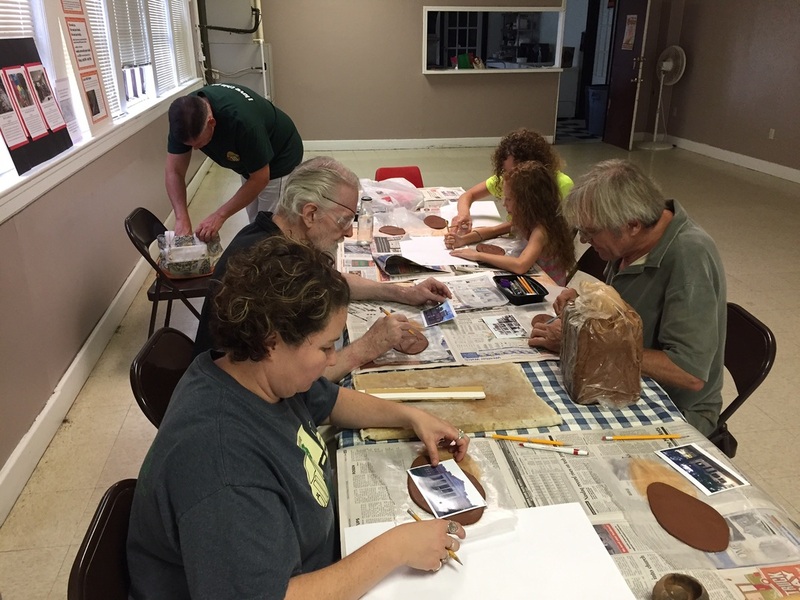 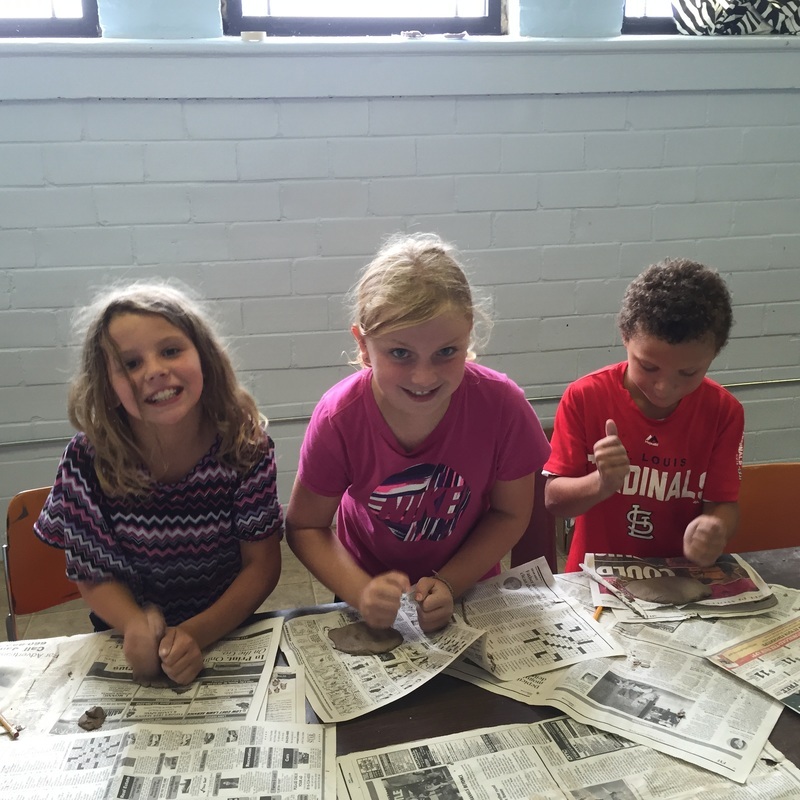 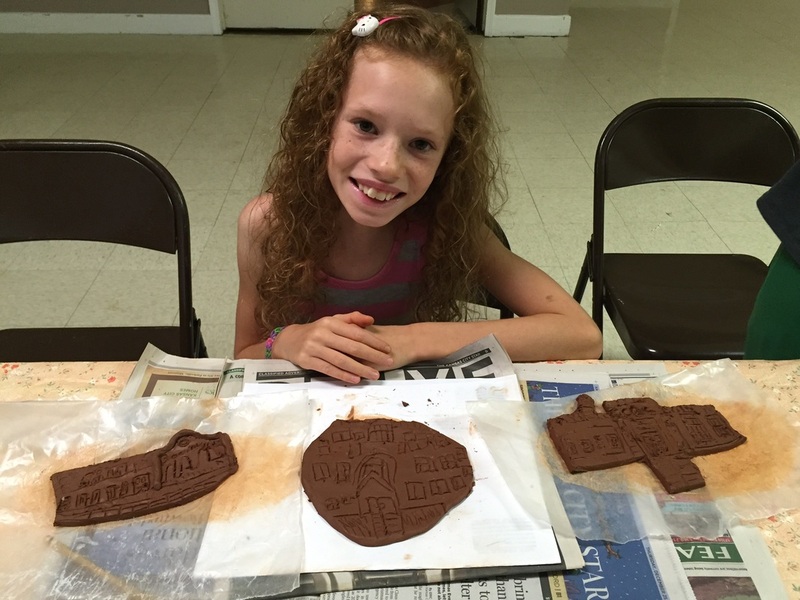 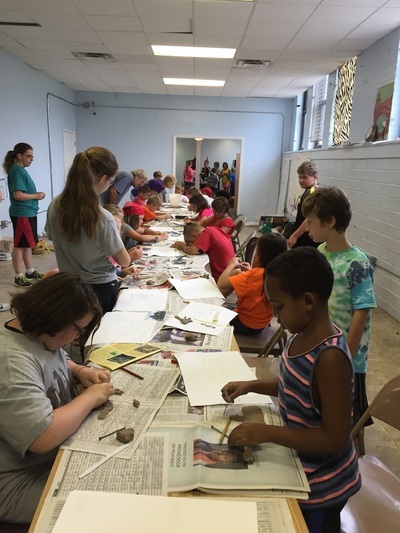 ​On Monday, July 25 the YMCA kids used clay to make animals, foot prints and building from Boonville. The kids drew their object on paper, then made their object out of clay. 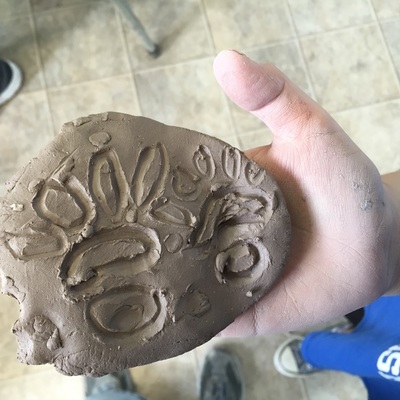 The kids then got to choose where they wanted their piece of clay to go when it got done. 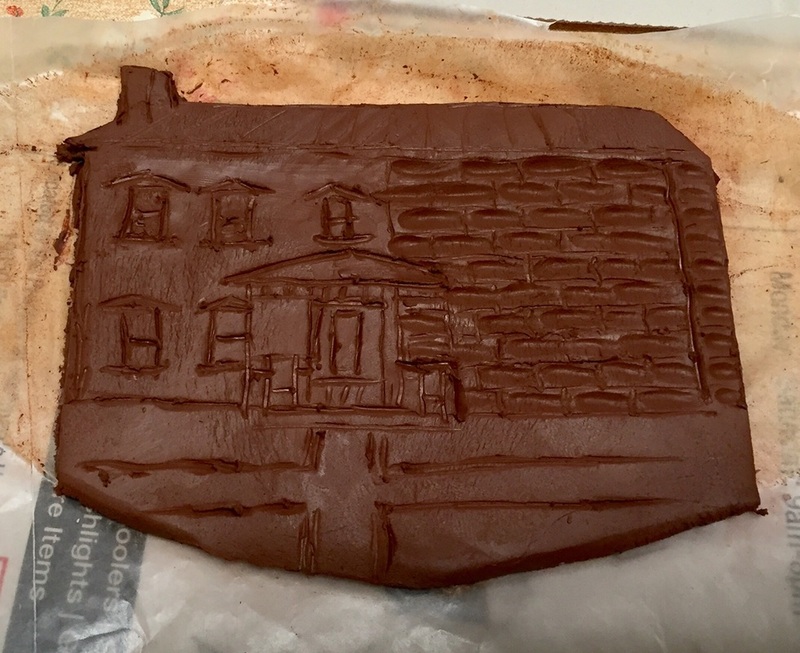 Another day Charles will put the clay in a fire to make the clay hard. 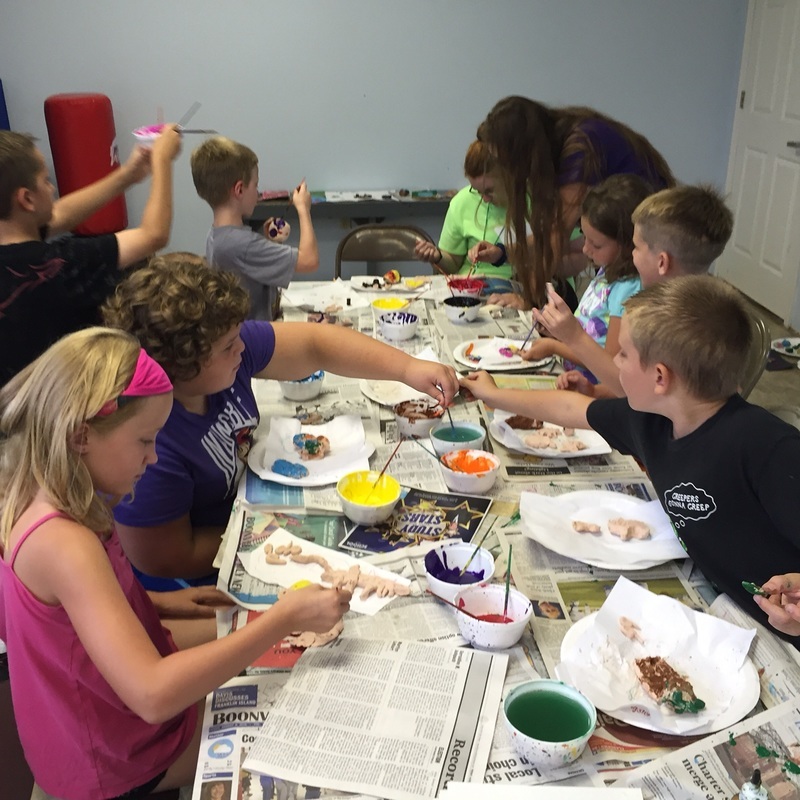 The YMCA kids & volunteers had another wonderful time with Holly. 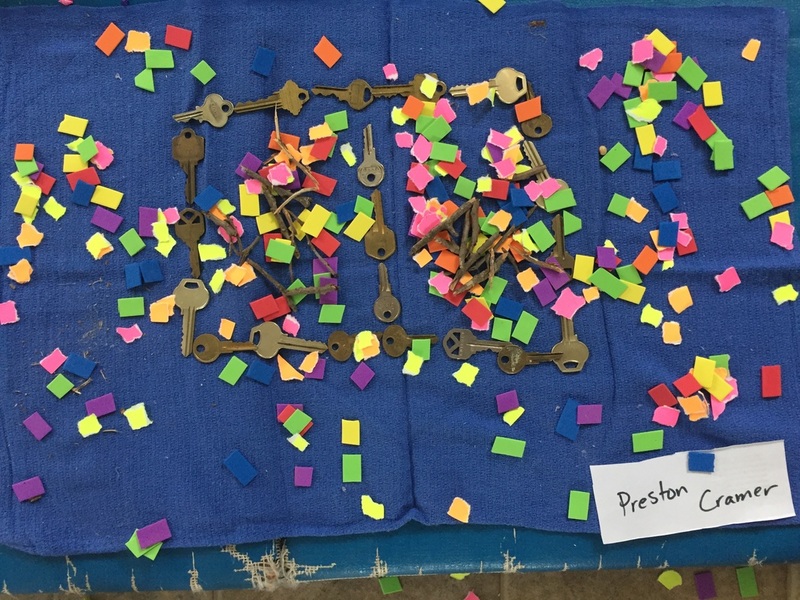 Here is a great synopsis of our day written by Dalton Pannell. 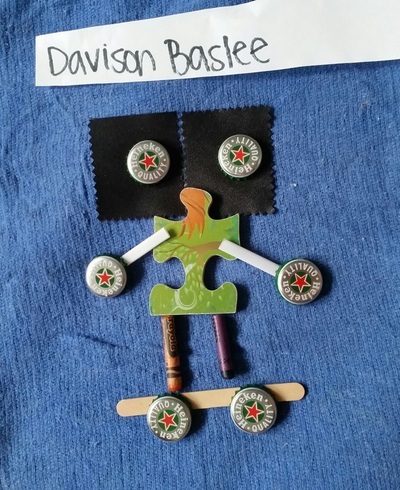 THANK YOU DALTON! 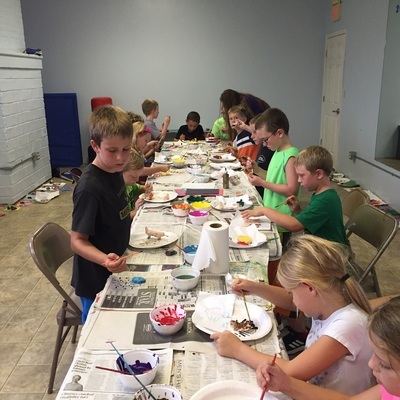 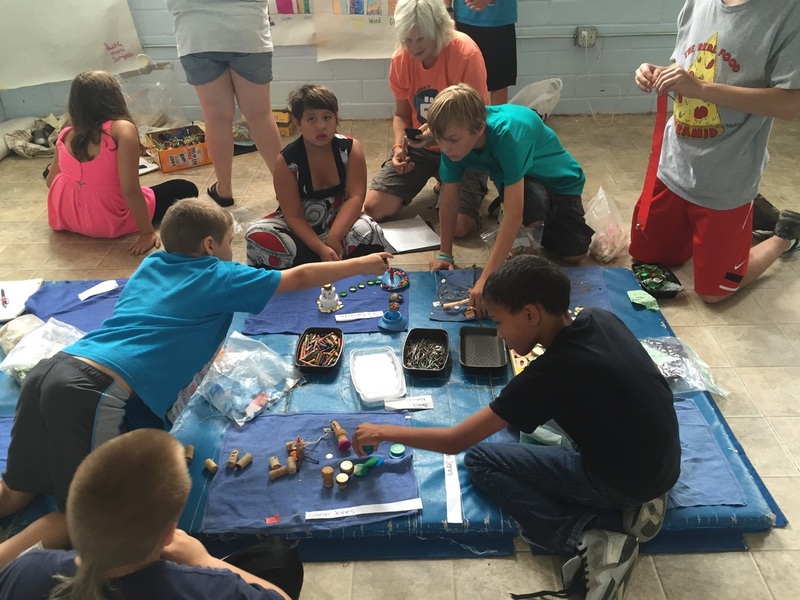 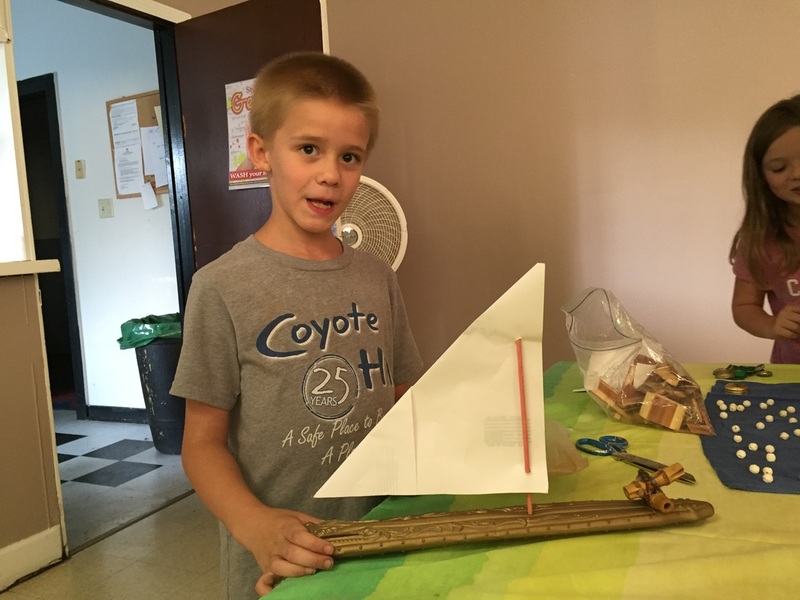 On Monday July 18, the YMCA kids got to be imitative and creative. 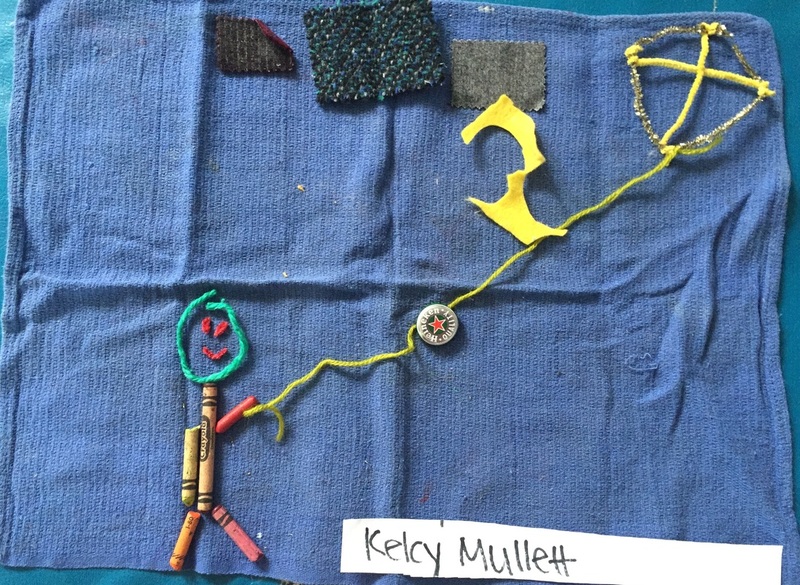 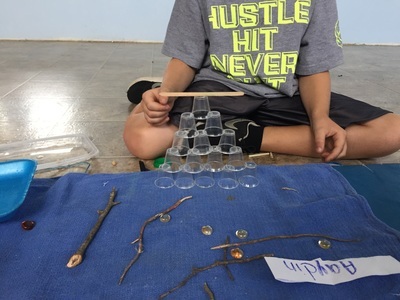 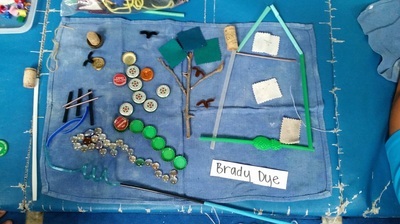 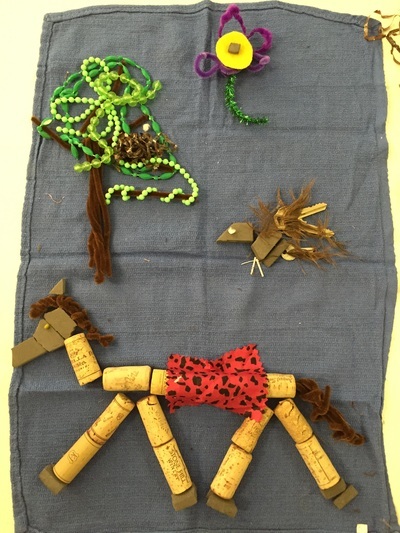 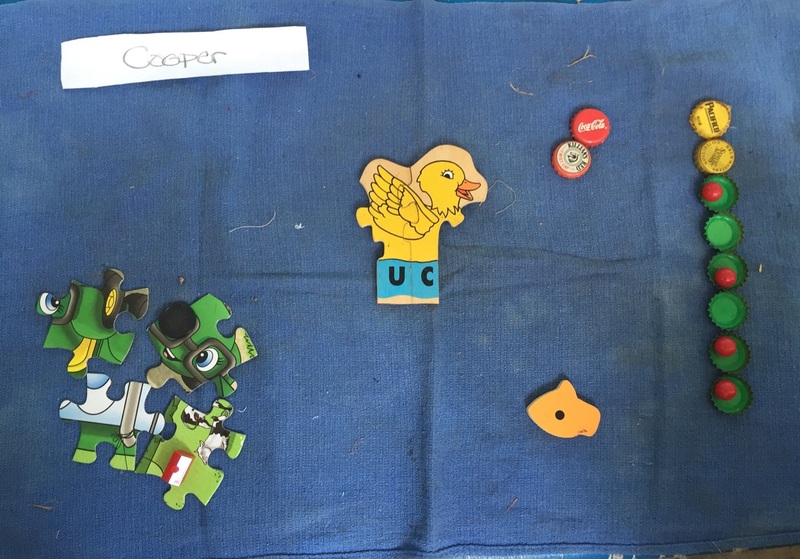 The kids used old game pieces, small chunks of wood, nails, pipe cleaners, and yarn to make pictures. Some kids made a party scene, tow truck and abstract pieces. 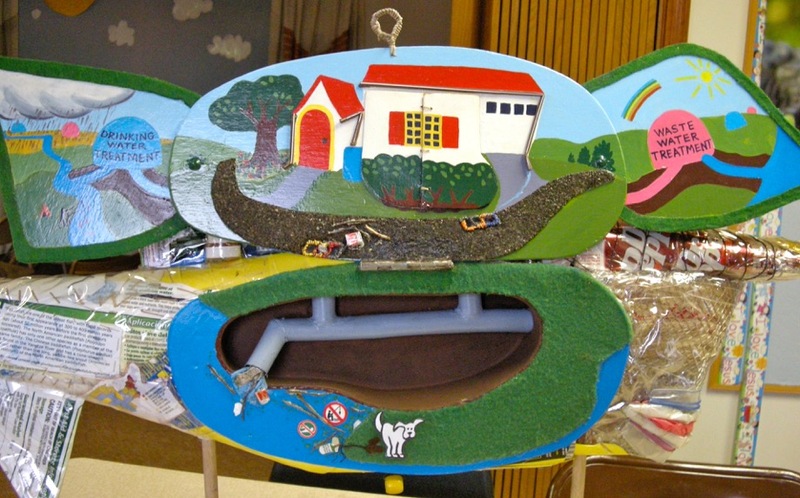 Most kids enjoyed this project while others preferred using pencils and paper. The YMCA kids had another splendid time with Holly and volunteers. 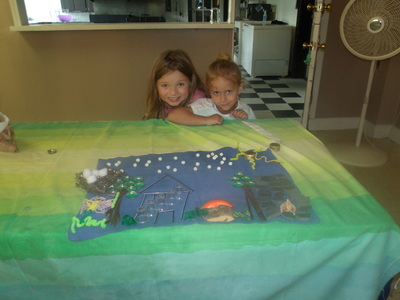 This was a fun day because we took time to take pictures and get the stories for every single kids art work. 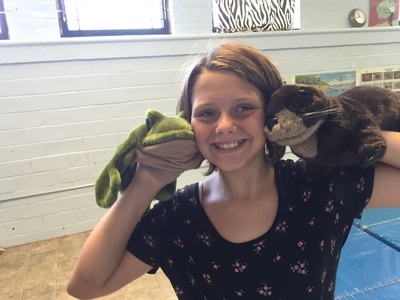 They are each so fun! 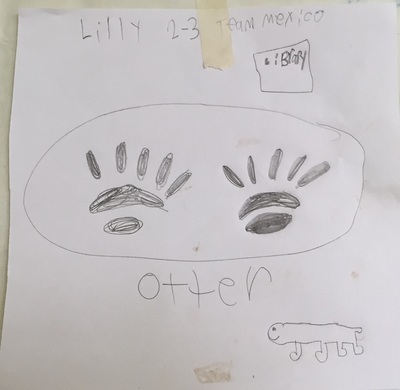 Unfortunately I don't have time and patience to share all that right now...Id you are a parent and want to see your kids pic and story email me and I will send it to you. 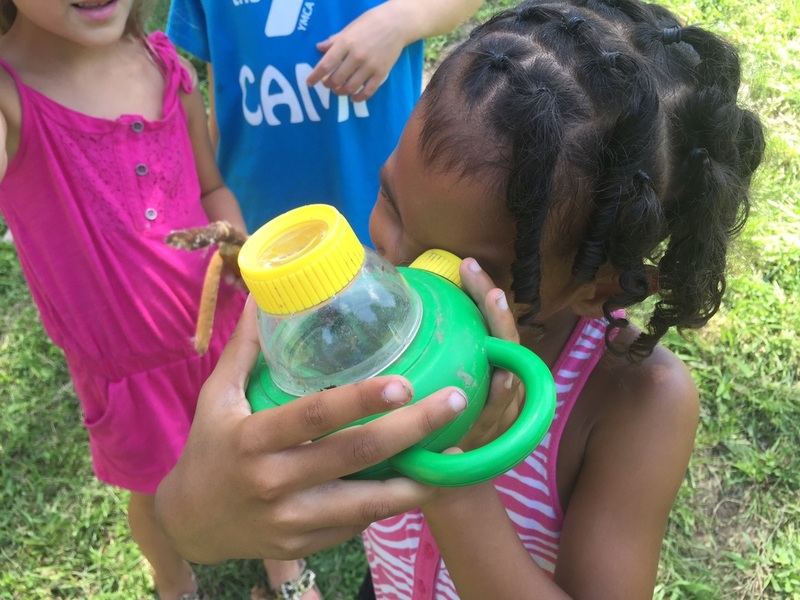 Meanwhile, here are just a few pics. 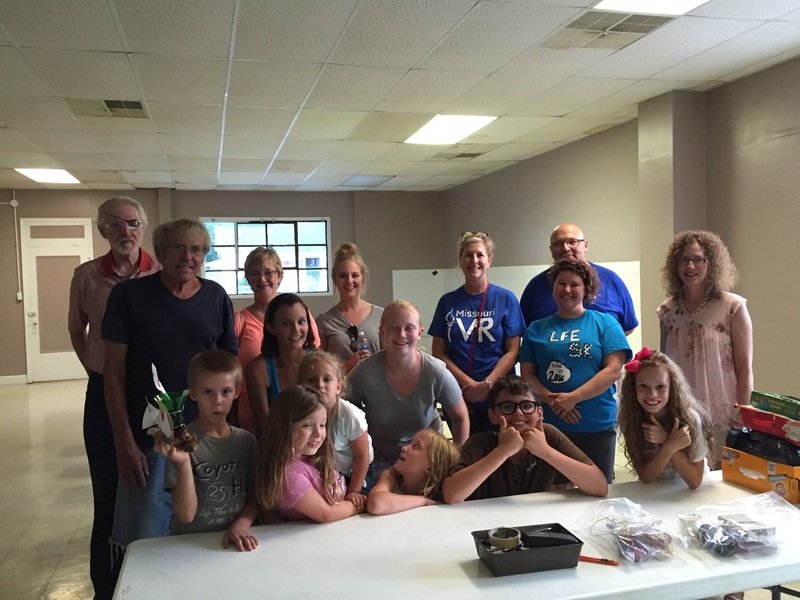 Eighteen people showed up at CCBC tonight. 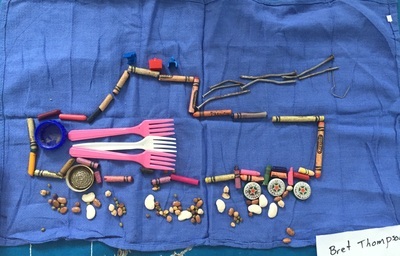 We looked at the working sketch for the mural drawn by Charles Stegner, and started playing with all sorts of materials for our project.I brought my traveling suitcase of materials you might find in my studio. 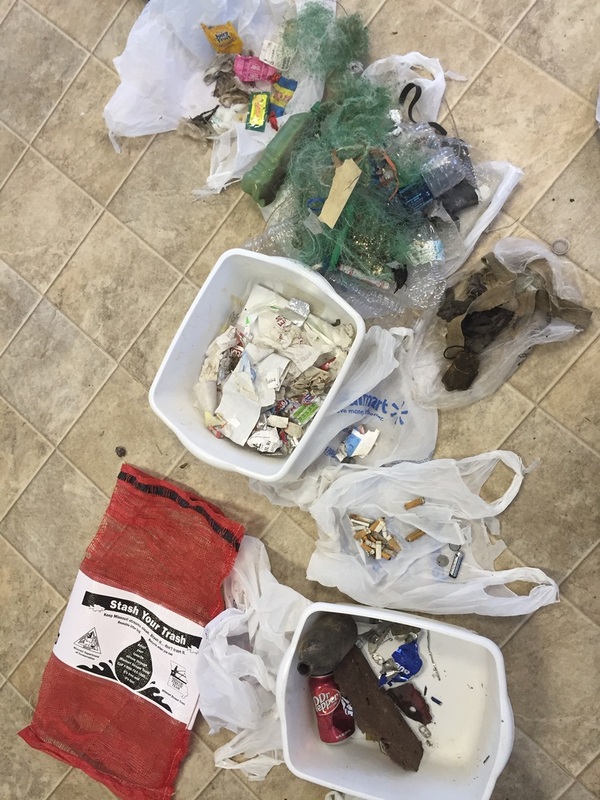 It is full of baggies with labels as to recyclable or not. The idea is to play around with the materials using a piece of fabric for the blank canvas not worrying about how to put them together. 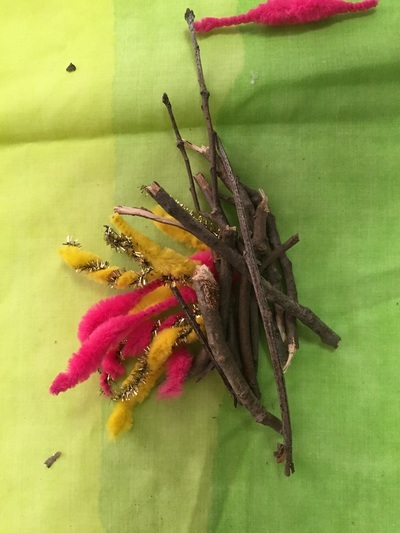 Ideas for trees, sun, snakes, cattails, flowers, fire, bird, bird nest, horse and a boat came up.. Here are some pics from the night. 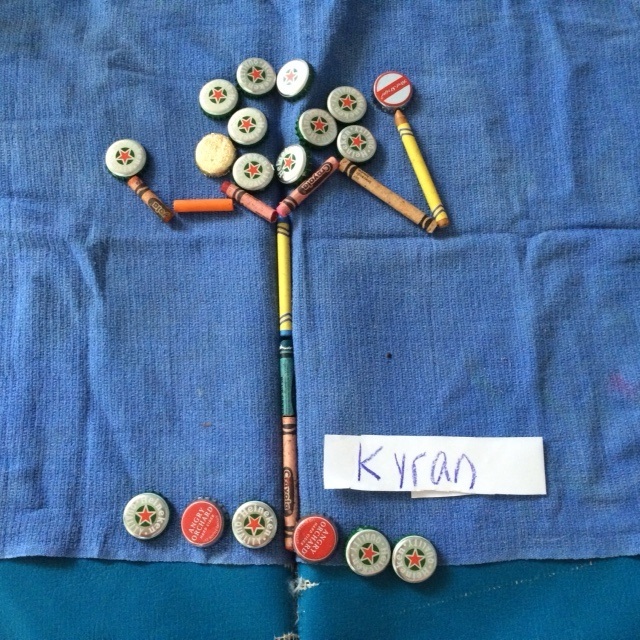 Sorry can't figure out how to rotate. 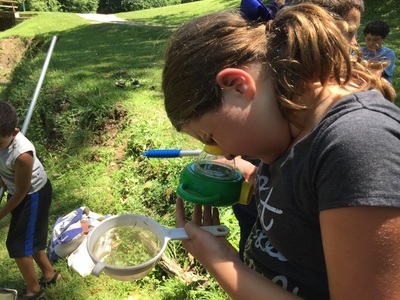 Today we took a closer look at Wetlands by examining the Bucky Beaver Enviroscape, (borrowed form City of Johnson County Stormwater) and exploring the wetlands behind the YMCA with the nets and magnifiers from the awesome Missouri Department of Conservation Wetland trunk. 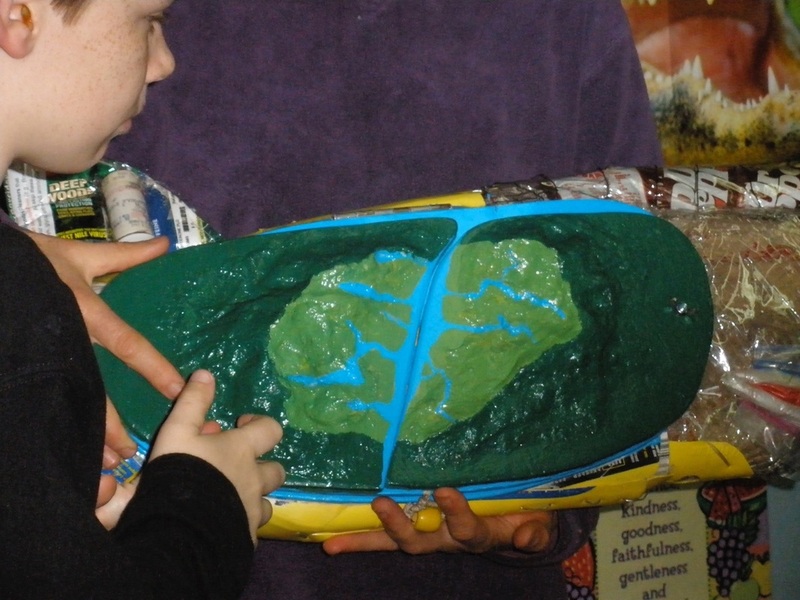 We also played with puppets and looked at posters from the same trunk. 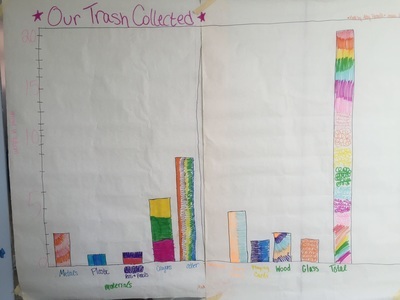 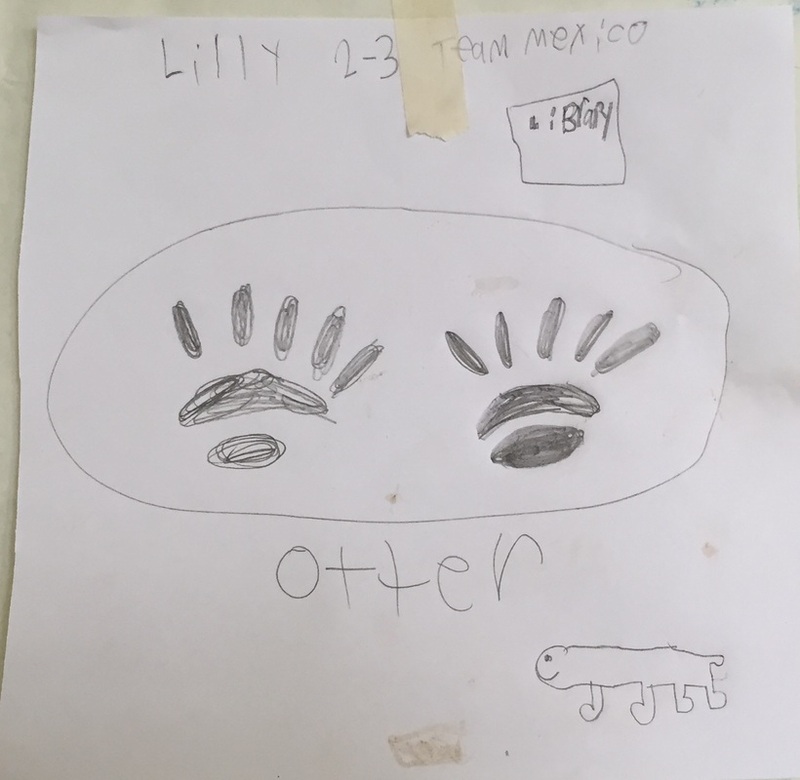 The older kids started weighing and sorting the trash we have found and made posters remembering all the things we have discovered in our habitat over the past few weeks. 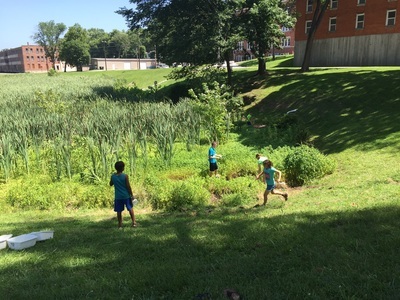 The wetlands behind the YMCA are filled with cattails. 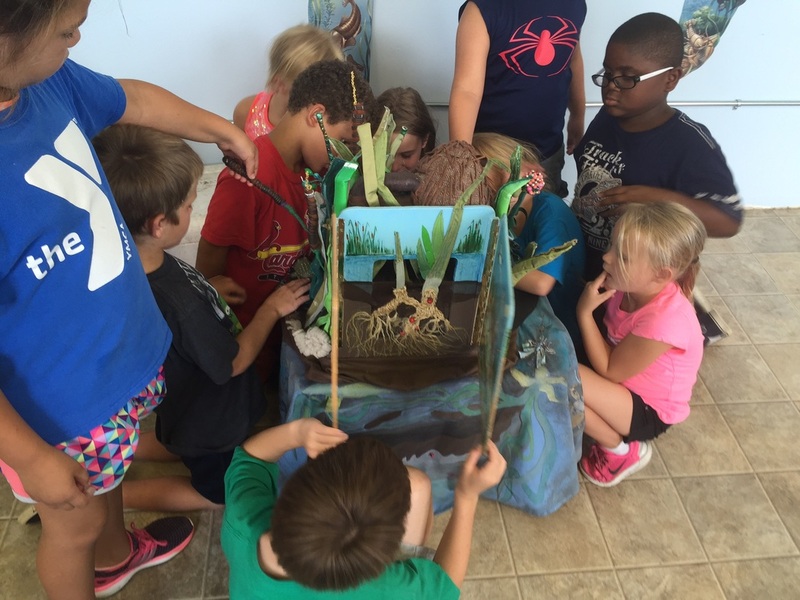 The kids learned how cattails help the wetlands. 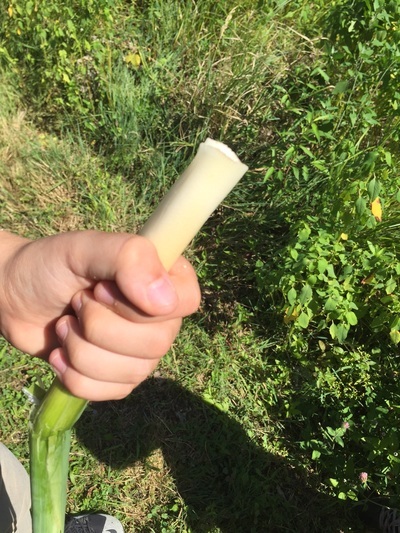 Some kids practiced braiding the reeds and wanted to learned how to cook them. 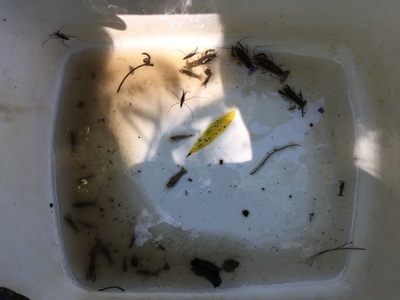 The nets in the shallow water mostly pulled up tadpoles and water striders. 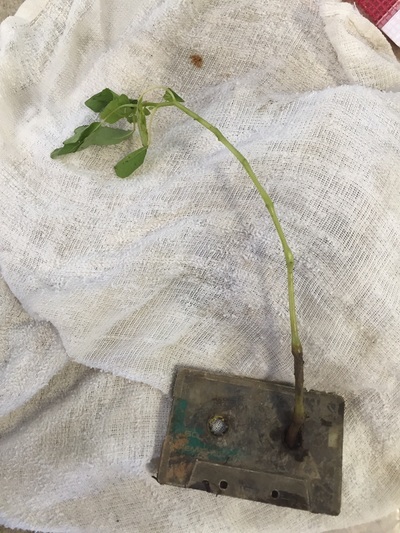 The most interesting piece of trash was a cassette with a jewel weed plant growing out of it. Thank you to all my volunteers, Charles Stegner, Vicki McCarroll, Jessica Grathwohl, Dalton Pannell and special thanks to Abby Pannell for helping write this article. Today we looked at the Pete the Paddlefish sculpture to get ideas about what kind of trash is especially bad for the water and to see how the rain water in storm drains and the trash going in it actually gets to the river. Then we walked to the creek behind the Y and explored to see what we could find. 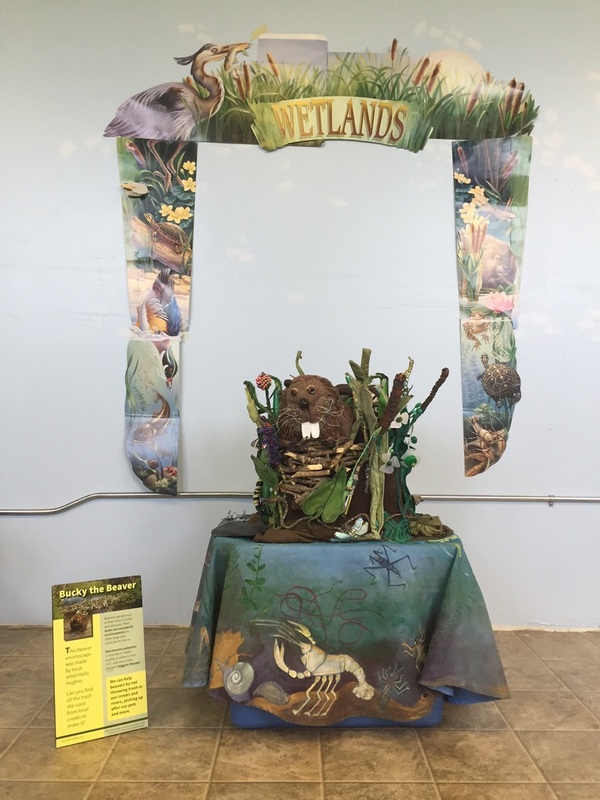 We had all kinds of nets and magnifying tools borrowed from the Missouri Department of Conservation’s “Wetlands” educational trunk. 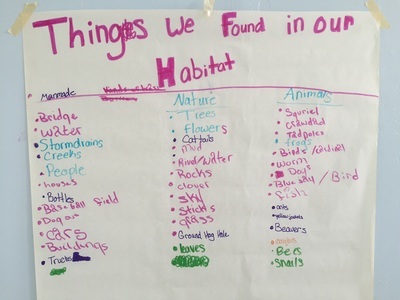 Thank you for this great teaching tool! 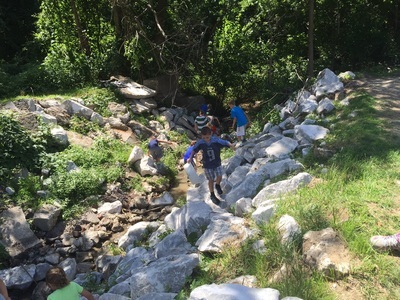 On Monday, June 20, the YMCA kids, Holly Hughes, and volunteers walked from the YMCA to the River, Rails and Trails Museum and Tourist Office. 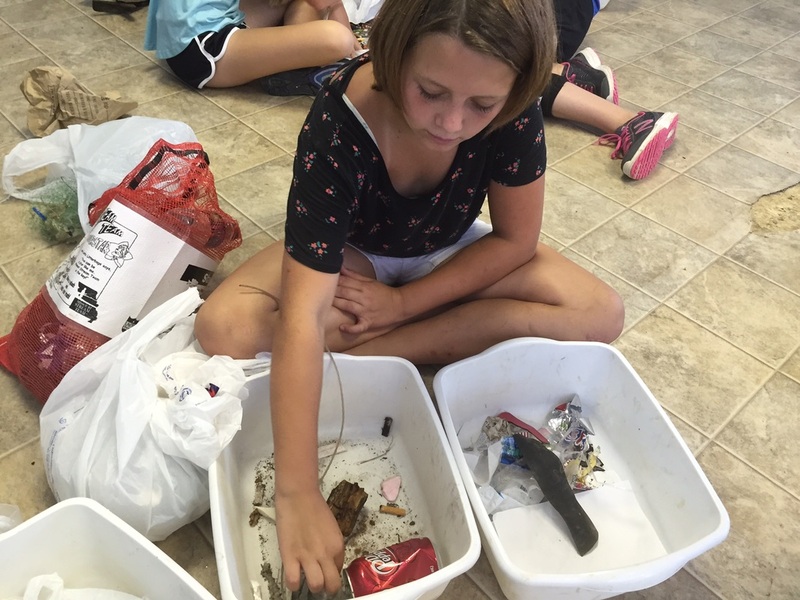 While the kids walked they picked up trash and noticed things that dealt with water such as storm drains and manholes. The kids also walked to the Katy Bridge and looked at the Missouri River. 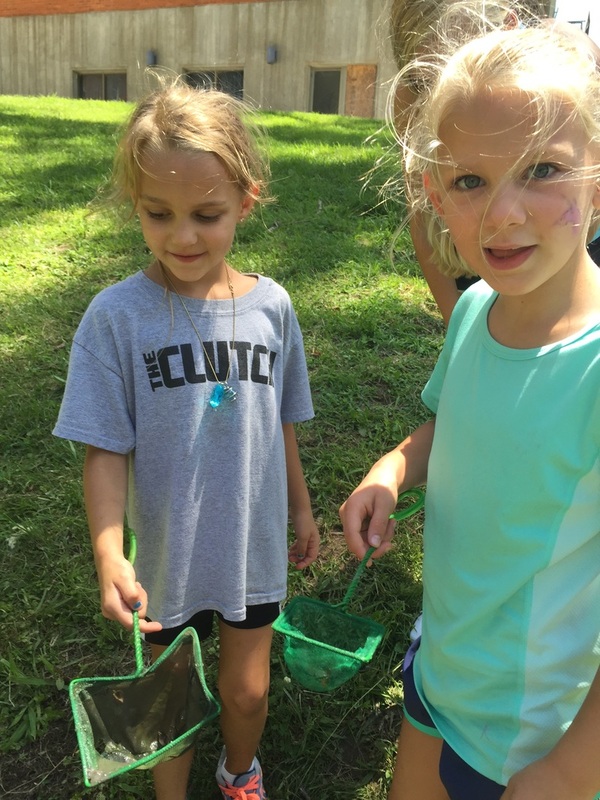 The kids will help Holly make a community art project named “Big Fish, Big Tales and the Big Muddy.” When this project is done it will be hung at the River, Rails and Trails museum, which is on Spring St. across from the Katy Depot. 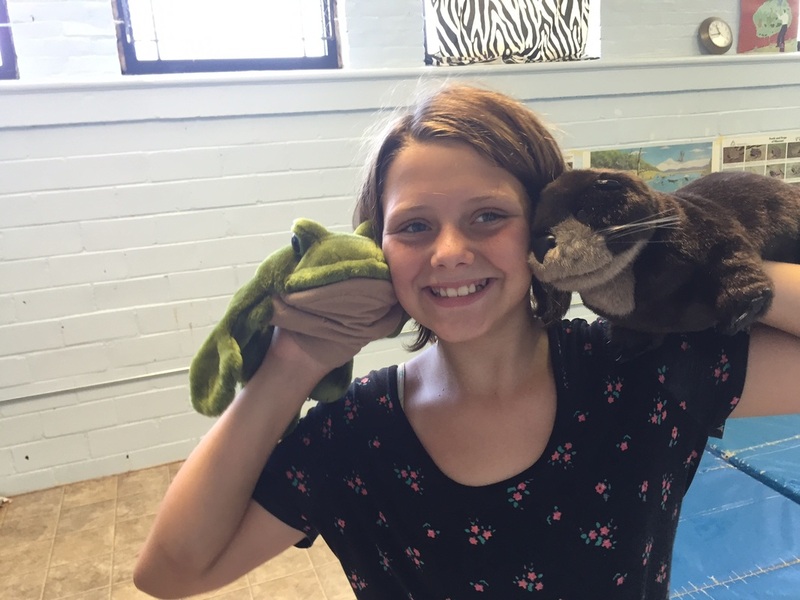 A special thanks to Katie Gibson who opened the Museum for the kids. 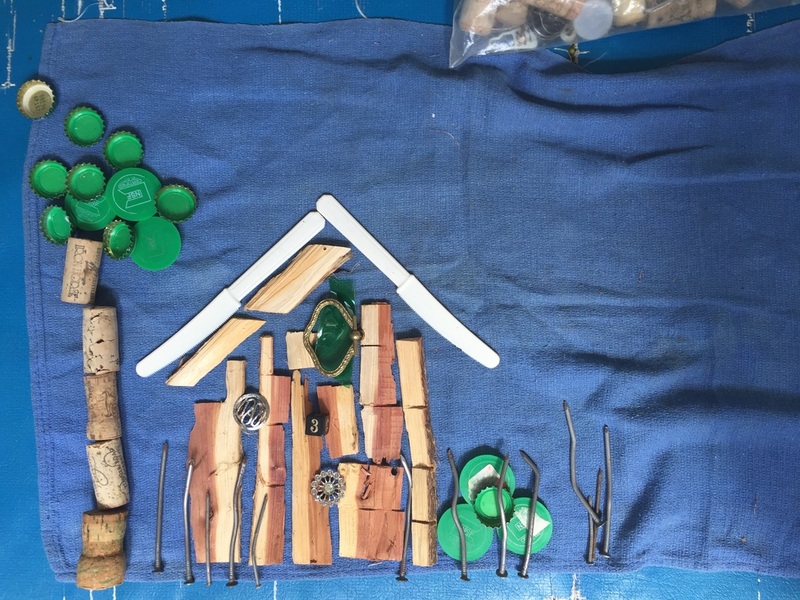 Holly Hughes' art features projects that are Environmental Art Happenings (E.ART.H) designed to inspire creativity and increase global compassion. 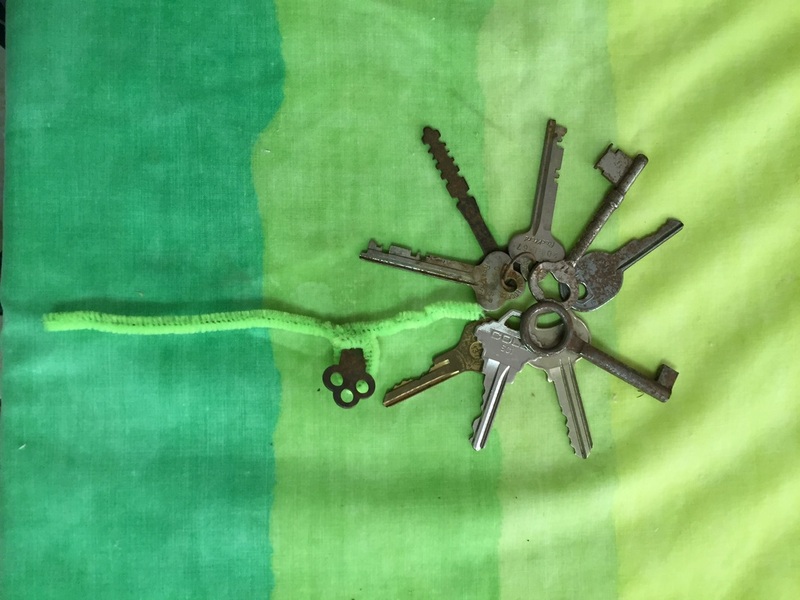 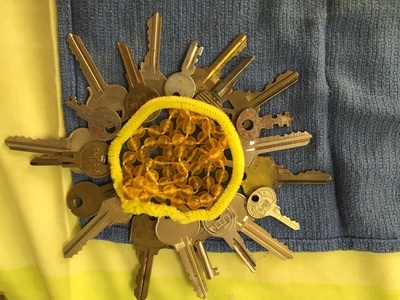 She creates by recycling and reusing materials in unique ways, community collaboration, environmental awareness, edible art sculptures, easy to make labyrinths, murals, nature hearts, and more. 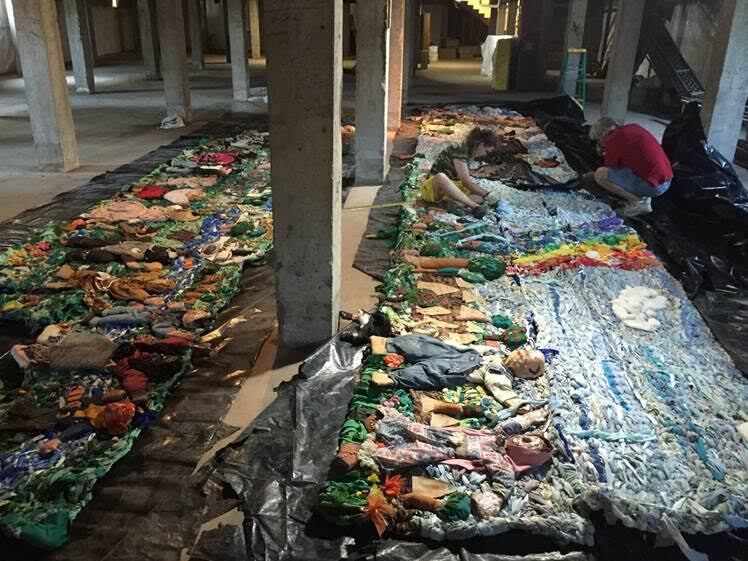 This blog chronicles Hughes' latest community art project, Big Fish, Big Tales, and the Big Muddy, a multi-layered community art project involving Missouri River education, stream cleanups and public art. 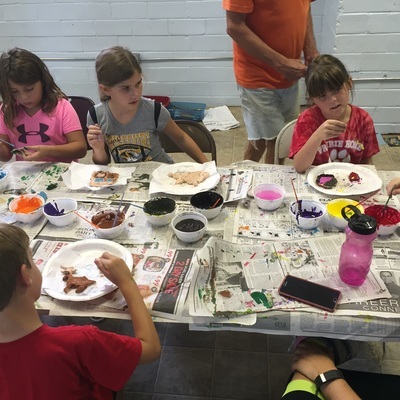 It is made possible by a Missouri River Relief mini-grant awarded to the Boonslick Heartland YMCA, partnering the City of Boonville, MO Tourism Office, the CCBC, (Concerned citizens for a Better Community) and the Turner Hall River Rats for the Arts.